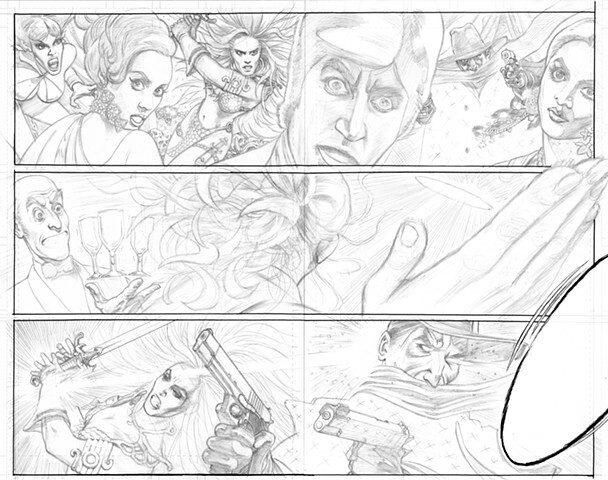 Pencils for pages 2-3. 1977 costumes for the 'waxworks'. The television series had a few episodes where Jaime faced androids known as "fembots" as they were most often disguised as women.